Special Edition – RailsConf 2009 Report! 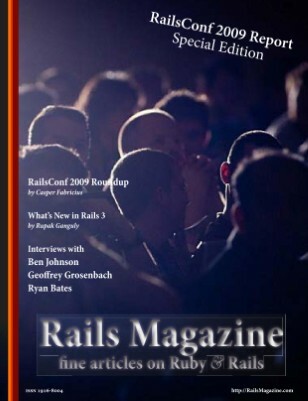 This issue of Rails Magazine includes extensive coverage of RailsConf 2009 – in-depth commentary, photography, pointers to related resources and interviews with Ryan Bates, Ben Johnson and Geoffrey Grosenbach. Please check back our site for our next regular edition (40 pages) – coming soon!